Understanding print formats can be perplexing for new collectors but this page should help explain and clarify some of the terminology used by archives, museums, galleries and the photographic industry. The first thing to understand is the difference between limited edition prints and non editioned prints. The term ‘Limited edition’ should be self explanatory; it is the number of prints at a certain size and finish that are limited to being printed of an image. Once the prints are sold from an edition no further prints will be available in that size and format. These limited editioned prints come in two types. 1/ Signed by the artists’ or estate representative. 2/ Unsigned by the artist but authenticated by the estate. The most desirable prints are those signed by the artist however there are circumstances where an image will be released as a limited edition print after the artist’s demise but will be authenticated and signed by the estate representative. 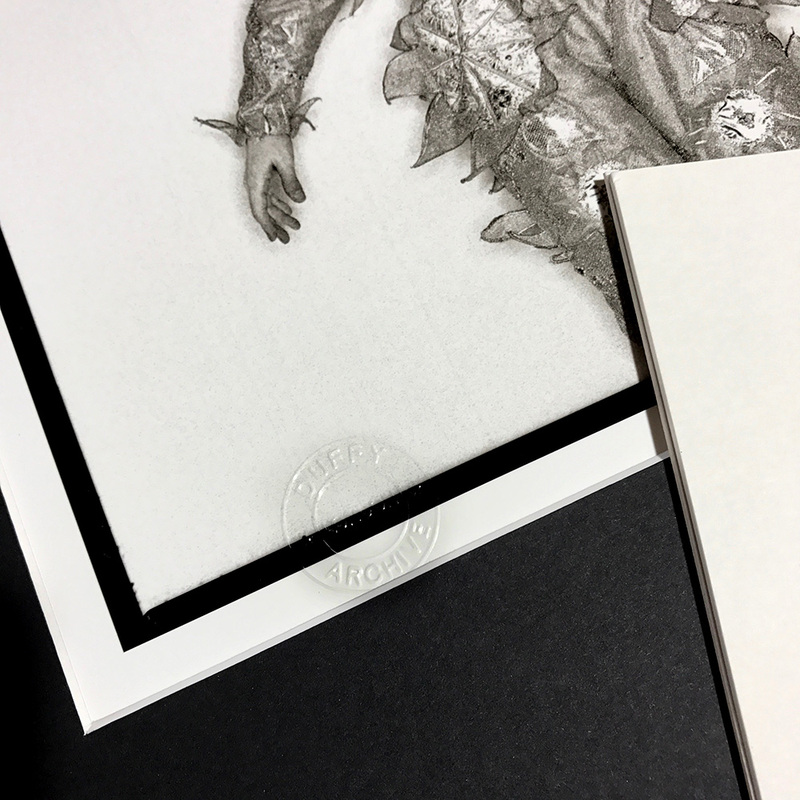 Limited edition prints are individually identified and are given a unique reference number along with the actual number of the print in the edition. 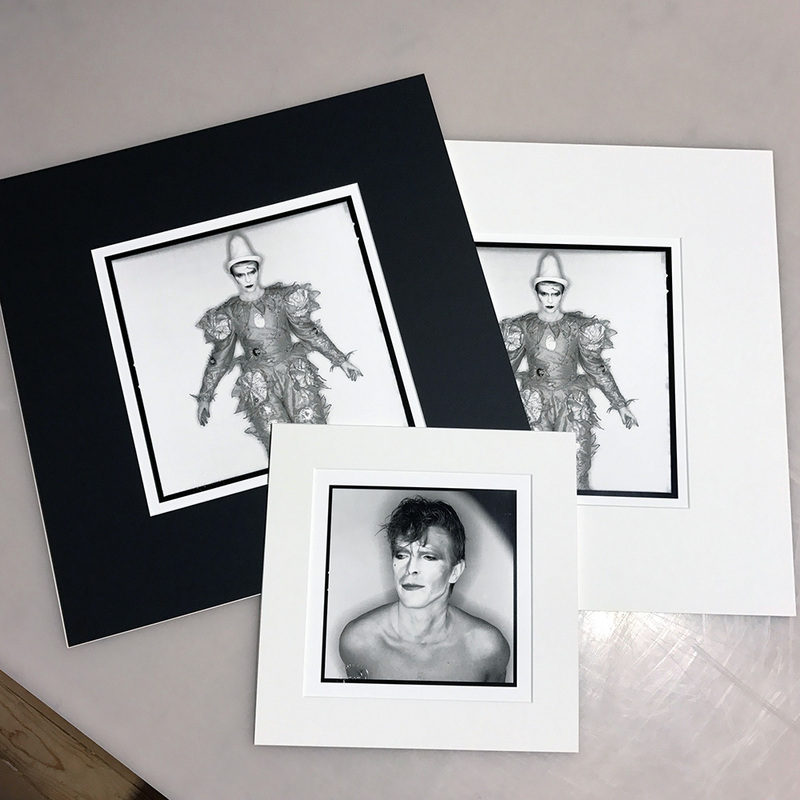 During the printing process of a limited edition it’s common that a few prints are made whereby adjusting contrast and saturation is varied to determine the desired and final look the artist wants to achieve, these prints are called ‘Artist proofs’. Artist proofs are generally not sold until the whole edition is sold and in many ways are more valuable than any of the prints in that edition. The quantity of artists proofs vary but normally it would range from one to a maximum of five prints with three being the average however this can depend on the edition size, for example an edition of six prints would probably not have three artist proofs! The second most important issue to understand is the difference between ‘Vintage’ and ‘Modern’ prints. Vintage prints are prints that were originally printed in period and are generally not editioned due to the fact that editioning is a relatively new concept and the art market for photography in the 60’s and 70’s was virtually unknown. In the Duffy Archive’s case these prints would have been printed by Duffy’s personal printer from Vogue, Norman Brand up until 1968 and by Chris Duffy, Duffy’s son from 1973 onwards. Vintage prints are generally one-off prints but with certain images there might be three or four in the archive. All of Duffy’s vintage prints are signed during the process of putting the archive together from 2007 and 2010. These prints are extremely rare and therefore command a high price tag. We do not display all of our vintage selection so if this is your interest please contact us and we will be pleased to discuss this with you. The term modern prints refers to print editions produced from 2007 until 2010 that are limited edition prints signed by Duffy. These prints were hand printed by Chris Duffy, Duffy’s son and printer under his supervision. The term modern prints also applies to unsigned limited edition prints that would be currently available and printed by Chris Duffy. This category of print is ideal for new collectors or those on a budget. As they are unsigned and unlimited they are affordable to a wider audience but without compromising the quality and finish expected from the more expensive limited edition prints. However so as not to create a conflict within the market; the non editioned prints are not available in the same sizes but are only available in a smaller size. To view these prints click here. Limited edition prints are authenticated as original prints from the archive with a unique embossed stamp on the front and rubber stamp on the rear of the print which has full print details including a unique reference number along with print details which are authenticated with Chris Duffy’s signature. Additionally the print is supplied with a certificate of authenticity with the identical details as recorded on the reverse of the print. An Estate Stamp is a stamp that is embossed with a unique circular Duffy Archive stamp generally in the left hand corner. This identifies that the print has been hand produced at the Duffy Archive. This is a modern print process whereby prints are produced by high-end inkjet printers using specialised pigment inks. 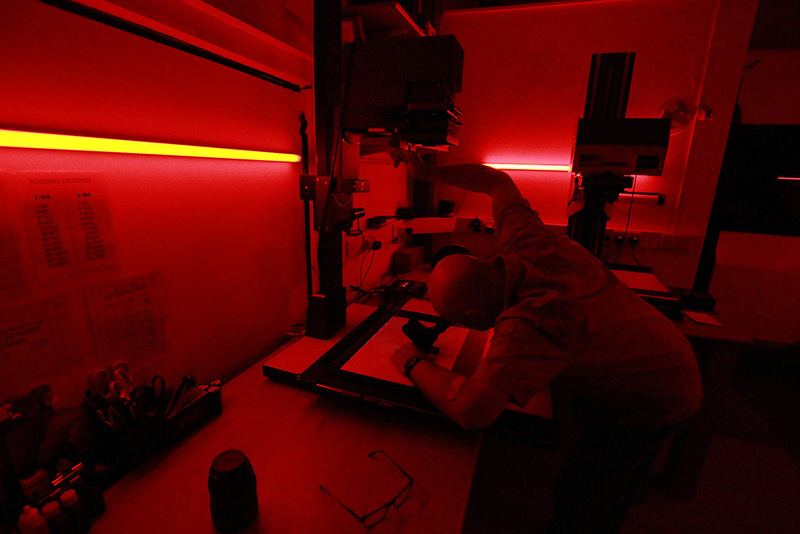 The Duffy Archive use Epson printers with Epson high end K3 Ultrachrome inks. These inks are specifically manufactured to produce long lasting and fade free images and have been lab tested to a period of approximately 100 years without fading. Epson Ultrachrome K3 inks also produce one of the highest and most saturated colour gamut available and produce an intensity and depth not available with traditional C-Type colour prints. Archival inks are paramount but so too is the paper they are printed on and in 2007 when Chris and Duffy were initially looking at which papers they would produce prints on they tested a wide variety of different manufacturer’s papers. After many tests they finally selected the Fuji Baryte Gloss 310gms paper as this most closely resembled the original Agfa MCN 312 C-Type paper Duffy used in his studio during the 1970’s. The feel, weight and white balance of this paper were a perfect match to the original Agfa paper that Duffy was so fond of. In 2014 Fuji stopped making this paper and after much persuasion Fuji Europe agreed that they would continue to manufacture the paper only for the Duffy Archive. Before the digital revolution traditional colour prints were produced in four formats; R-Types (colour prints from a colour transparency), CibaChrome (an Ilford colour print process with high colour saturation, again for transparencies), Dye Transfer (an extremely expensive and complicated Kodak colour print process) and C-Type prints which was the most common process producing colour prints from colour negative film. All these processes were ‘wet’ chemical processes unlike the digital ink processes of today and unfortunately the first three processes are no longer available however it is still possible to have C-Type colour prints made. The disadvantage of C-Type prints is that they do not have the same archival qualities or colour saturation as Archival Pigment Ink Prints. 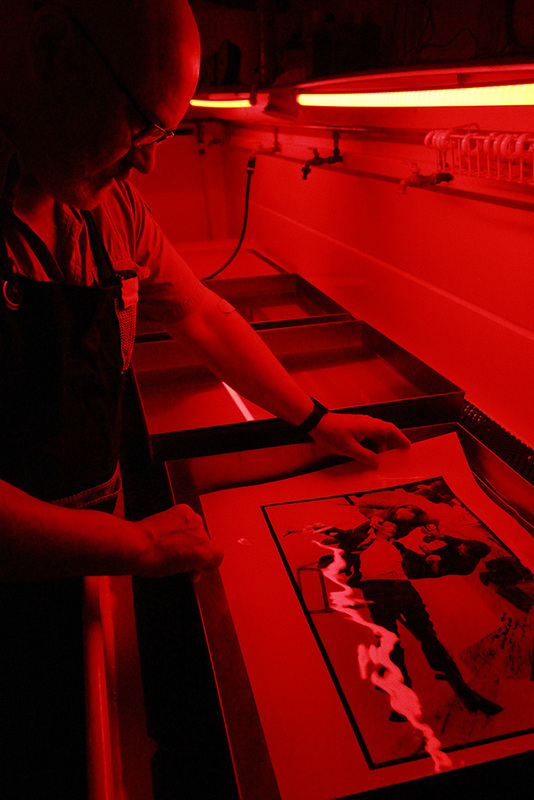 The traditional process for producing black and white prints is a wet chemical process whereby exposing a piece of paper coated with silver nitrate held together in a gelatine layer to light via a black and white negative film producing a print. 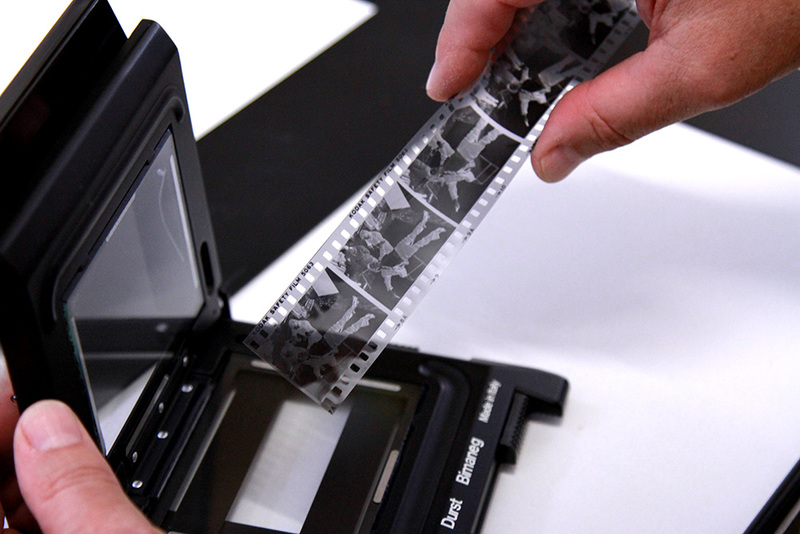 The paper is negative and the film is also negative with two negatives producing a positive image on the paper. 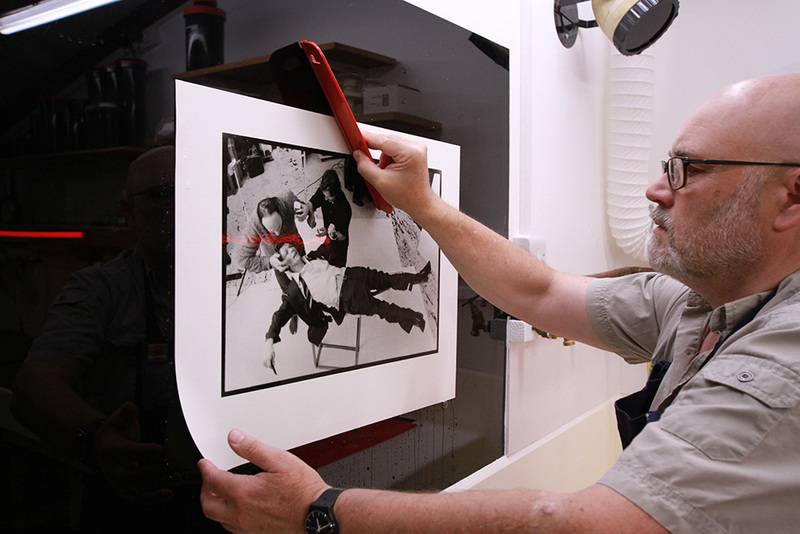 Prints produced this way are termed silver gelatin and are most sort after by serious collectors. No two prints are exactly alike as this is an organic process and each print will be affected by the depletion of the developer, chemical temperature and processing time furthermore if the printer adds or removes light by what is called ‘dodging or burning in’ then this too will produce slightly different effects on each print. Although in most cases the differences will be negligible it is enough to make each print unique and individual. Hopefully this guide will give you a greater understanding of terminology related to prints, papers and editions.